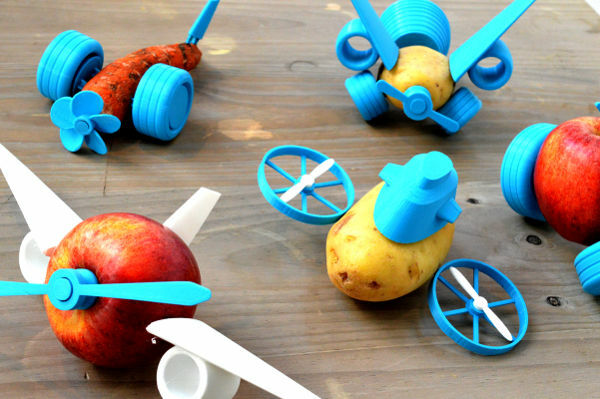 As parents we often tell our children not to play with their food – but here’s an idea that’s set to turn that on its (Mr Potato) head. 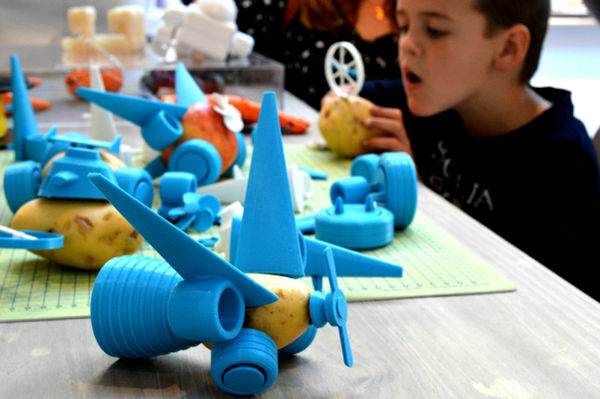 As part of France’s Open Toys project, the seed of an idea was born – using material waste to create toys by using 3D printing small accessories. 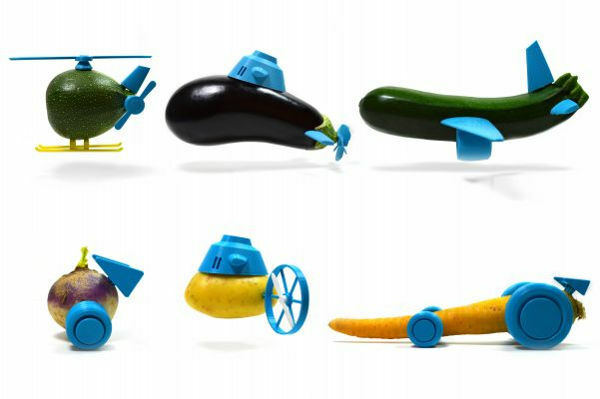 From that initial idea spawned thoughts of using everyday objects – even food, to create toys, and make things like fruit and vegetables a little more exciting to children. 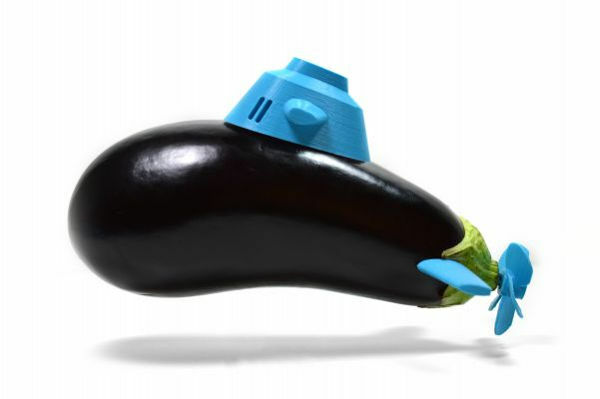 It’s a new take on Mr Potato Head, if you like, but a very clever one. Allowing children to get used to the feel and texture of fruits and vegetables, enjoy creating with them, and then hopefully eat them. 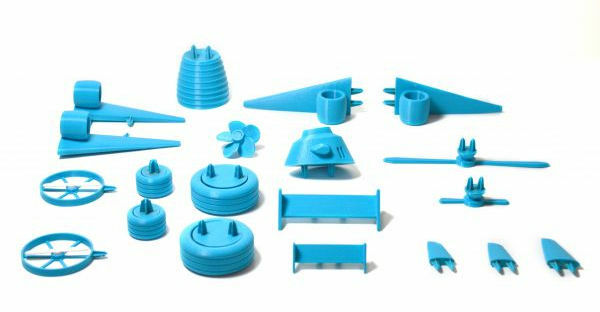 Le FabShop now has free downloadable Open Toys files on four 3D printing platforms including YouMagine and Cults 3D. There are also some more detailed instructions on how to create the 3D printables at Instructables.